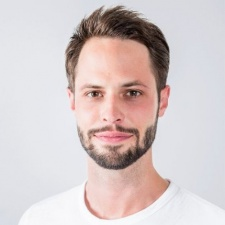 Johannes Heinze is Managing Director for EMEA at AppLovin, a marketing platform that provides marketing automation and analytics for brands that want to reach new consumers on mobile and Apple TV apps. He has been deeply involved in shaping the app economy since 2009. At AppLovin, he oversees the company’s international sales growth - a significant responsibility as the company processes over 50 billion ad requests from around the world every day, and is on track to achieve a $200MM+ revenue run rate this year. Johannes was previously a founder of the European ad network Moboqo, which was acquired by AppLovin in 2014. Prior to launching Moboqo, he was VP for Mobile at Fyber/SponsorPay, where he was integral to the development of the company’s innovative and highly successful ad monetisation solutions and was responsible for the company’s successful pivot toward mobile. Johannes Heinze is Managing Director for EMEA at AppLovin. This article is part one of a series. You can read part two here and part three here. Since the App Store first debuted in 2008, the mobile games landscape has flourished. Thanks to various enabling factors, nearly ten years on, the App Store is home to over 760,000 games - a volume that is quite amazing to ponder. Over time three rough categories (with admittedly blurry lines) have emerged within mobile gaming - casual, midcore, and core - that define players’ tastes and generally speaking dominate mobile gaming. In this three-part series, I will cover why I think an addition to these categories is on the horizon. But first, in this installment, I’d like to cover where we’ve been and where we are now. Remember the Dark Ages of flip and feature phones? Or perhaps you don’t? The App Store is old enough that some younger developers may have never known anything other than smartphones. Well let me tell you, those were the days. Mobile games were small Java apps that you downloaded in .JAR files. In terms of distribution, the national carriers maintained walled gardens. And there was no standardisation - indeed both hardware and software were massively fragmented - and monetisation was chiefly through carriers with different revenue shares. The problem of course was that few users went out of their way to download games, so if you were a mobile game publisher, getting “on deck” with the carrier as a default app was the only way to succeed. Carriers were the gatekeepers, and if you didn’t get past them, you didn’t stand a chance. The introduction of the App Store in 2008 of course revolutionised both app development and distribution. But it’s not like that was the only problem if you were a mobile game developer back then: building games with Java was no fun, there were literally dozens of different handsets across multiple carriers that had to be designed for, and mobile hardware was extremely underpowered, so the limitations on gameplay, graphics and sound were many. The introduction of the App Store in 2008 of course revolutionised both app development and distribution: Suddenly there were only two devices (the original iPhone and iPhone 3G) to design for, one global distribution channel and robust tools to develop with. Revenue share was standardised. Discovering and downloading was suddenly easy for users. When you look back at that moment, it really was like the dawn of a new era in terms of the burst of innovation and creativity. It was in this environment that the first games were launched on iOS. Industry stalwarts moved fast to develop games like Super Monkey Ball (Sega) and Spore Origins (EA), which were highlighted on stage by Steve Jobs at the App Store’s launch. Most games were paid downloads that started at 69p, and IAPs were not allowed. In 2009, Rovio was the first studio to really figure out how to capitalise on the touch screen with Angry Birds, which by 2012 would notch over a billion downloads. 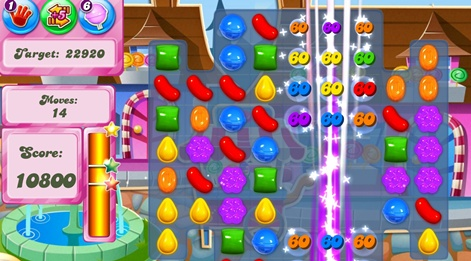 Then when IAPs were introduced, with Candy Crush, King managed to transition from Facebook to mobile, introducing social hooks and an engaging meta-game, effectively teaching a large user base how to make micro-payments through IAP. These pioneers came to define the category we now call 'casual' on mobile devices. Their products were characterised by relatively straightforward and easy to learn gameplay and appeal to a broad audience. Midcore games moved asynchronous multiplayer and social features to the next level. In this phase, the engaging meta game, the adapted controls for touch and the delivery of a simple, recognisable design pushed mobile gaming to new levels. Then there was the fact that midcore games moved asynchronous multiplayer and social features to the next level and mastered virtual economies. Meanwhile, monetisation became a flexible hybrid combining virtual economics with full-screen ads. Then there’s 'core' titles - games that are characterised by fewer sessions and users but conversion at high prices. While the lines between midcore and core are the blurriest of all the categories, and there are crossovers, here I’m talking about games like Game of War or Empires and Allies. These games started to take off in 2013, as mobile became ubiquitous. Android caught up and incredible complexity in mobile games was possible thanks to advancements in hardware. 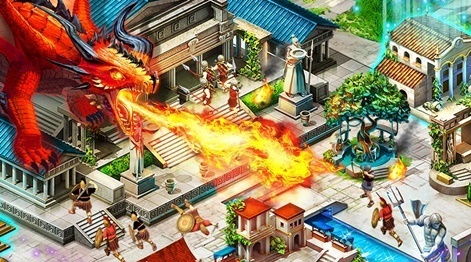 Not only that, but as core games connected millions of people, social networking became a foundation for monetisation; Machine Zone founder Gabriel Leydon called Game of War “a highly structured Facebook”. Time commitment to the game forces players to spend money; if a player doesn’t spend money, they’re out. Because Game of War is infinitely scalable, deals are constant and generous, and they become more valuable until players convert, as outlined in this analysis of the game. Monetisation of core games is highly whale-driven - depth keeps its big spenders engaged and average paying users are rumored to spend about $550 annually. In core, monetisation has reached its apex, combining complex virtual economies, gacha mechanics, social incentives and active community management. Games like the ones I’ve mentioned above have each been pioneers in mobile gameplay, and the companies that have built these games have created massive businesses valued at billions of dollars. The question becomes: in terms of the evolution of mobile game genres, are we done? I think not. Indeed, I think another blockbuster genre is emerging, or rather is re-inventing itself from an earlier incarnation. I’ll tell you what it is in Part two of this series. Fortnite Battle Royale is redefining what's possible in mobile gaming - so what?